We released a big update to our job management software over the weekend of 6th/7th June. The aim was to improve the performance of our software and make your data more secure. We added a new server with much more power and also added encryption to the logged in part of the site. To make sure the page is encrypted, look out for the padlock in your browser bar. Encryption was already included on our iPhone and iPhone monitor apps so this update completes the circle and brings enhanced encryption to all aspects of our software. At the same time, Apple also released v9.1 of our Monitor app. See a full list of enhancements and improvements to our iPhone and iPad Monitor app, updated as new versions of our app gets released. We’re always keen to hear how you find AutoAlert, any features or suggestions we can add to make your experience even more “magical’. Find out more about all the features of are unique job management application. Check out our GPS vehicle tracking demo to see how AutoAlert can help you see where you’re vehicles and engineers are, respond proactively to customer queries and reduce your costs through reports such as working times, driving times, mileage, stationary times etc. Check out our quick demo video which gives a brief introduction to our web and mobile based GPS vehicle tracking application. 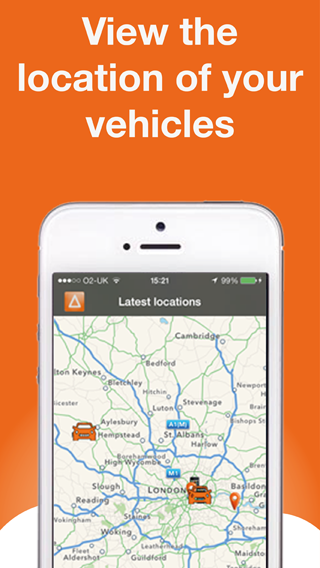 Find out more about AutoAlert GPS Vehicle Tracking or Sign up to AutoAlert. 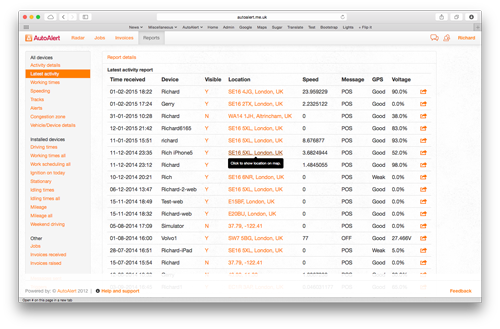 AutoAlert Monitor v9.4 has been released. Following your suggestions we’ve made quite a few changes and improvements to make managing your jobs and remote workers even easier. You can now add a note for each job which is for internal use only. This enables you to review what your engineers have written first and take out any gibberish they may have written. Once it looks professional and presentable, you can include the details on the final job sheets or invoices to be sent to your customer. You can add attachments such as photos and documents to the job at any time, not just when the job is complete. You can also add images and documents when you first create the job on your computer and then view the attachment when doing the job. We’ve added some extra email checks to the initial welcome screen to make it easier to sign up with newer email domains such as .London. As always, thanks for your comments and suggestions. Your ideas are always welcome. We’ve also made a number of improvements to the web portal as well. You can now view your jobs by day, week or month and you can add more details to the job, even after it has been completed. You can also add attachments to your jobs once they have been created, allowing you to send detailed drawings, contracts or information to your engineers in the field. If you’re an administrator, you can now view all jobs or just your own jobs. We’ve made it easier to get to your settings from the radar, jobs and messaging screens. You can now attach documents from iCloud to your job sheets. Ideal if you want to add complex documents to a job or fill in details where you may not have a good network connection. Its even easier to add connections including additional employees, customers or subcontractors. We’ve fixed a few bugs and made more improvements to the look and feel of the app. A small update which fixes an issue when you looked at health and safety issues for a job as well as improvements to consistency throughout the app. We’ve added additional help and support within the app to make it easier to understand how to change job types or send alerts when a job has been added. Fixed a bug which showed up in areas of poor signal. Improved the flow of the app on certain screens when adding or editing job data. Quite a large update behind the scenes with big improvements to performance and reliability, especially in areas of poor network coverage. 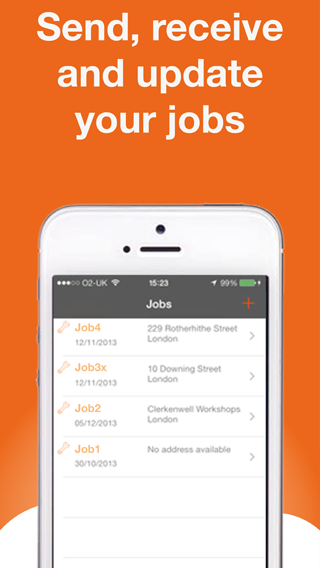 The only new feature within the app is the ability to long press from the jobs screen to turn on the torch. Ideal if you’re working on an electrical job with no electricity. We’ve also continue to improve the performance and stability of the app. Long click on the radar screen will bring up the tracking button, making it more easy to turn tracking on or off. Quite a large update with a number of performance and reliability improvements as well as improvements to the look and feel of the app, in particular around the job functionality. Some small enhancements to the look and feel for the app. Enhancements to the radar screen, including the addition of street view so you can better understand where your vehicles are. You can also view your vehicles locations on a standard, hybrid or satellite map. See our support page for more information. It’s now easier to connect GPS Tracking devices or other phones from the radar screen. Fixed an issue with the start/stop tracking button which sometimes means you had to press it twice to turn tracking on or off. Continued streamlining of the code to reduce bugs, increase performance and save your memory. 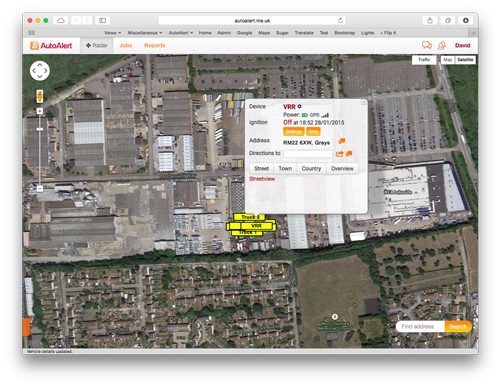 Find out more about AutoAlert Monitor and how you can use it to monitor the location of your vehicles, track your jobs and communicate with your colleagues. We hold millions of addresses for various latitudes, longitude co-ordinates. However, sometimes an address is not available, especially when your vehicle is travelling outside the UK. To add an address, simply click on the text field, enter your address and press return. Your new address will be assigned to the latitude and longitude coordinates and will be shown next time your vehicle is in that area or in any location reports. We’ve added in a new report which shows you the latest activity for all your devices. The report shows you the latest message that have been received from each of your GPS devices so you can see at a glance the what is happening with your vehicle and engineers. You can also click on the more icon ( ) to get the current day’s activity report for the device. 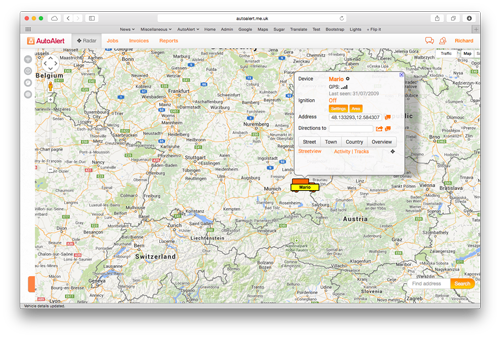 With AutoAlert you can easily see when one of your drivers or engineers have arrived. Our customers find this particularly useful if they get fined for late delivery or for jobs running late. To get around this, our customers will often take a screenshot showing the arrival time and location which is often enough prove to their customer that they were on time. A number of our haulage companies were facing exactly this kind of issue when they were delivering to ports. Even though they were on time they had to wait at the gates while the lorries in front of them were processed. By showing their location and time, it was a lot easier to defend against the ports trying to fine them for late delivery (known as a demurrage charge). To take a screenshot of the screen, simply click the print screen button (or PrtScn) – generally near the number pad on the top right of your keyboard. This will copy the current screen to the clipboard. You can then paste it into an email or Microsoft Word Document before sending. With Ubunta, you can take a screenshot of the screen by clicking Print Screen (PrtScn), in the same way that you can on Windows. Pressing Alt Print Screen will take a screenshot of the active window. Check out our haulage customer case study for more information about the issues faced by some of our customers. We also have more information about our range of GPS Tracking Products and Job Management software. If you’ve got a customer ringing asking why one of your vehicles has not arrived, rather than having to ring the driver you can see their latest location from the radar screen. You can easily view traffic conditions around your vehicles by clicking on the radar screen and then hitting the Traffic button at the top right of the map. Alternatively, you can view all UK traffic alerts by clicking on the alerts icon at the side of the screen (click the orange tab at the bottom left of the screen if the alerts icon is not visible) and then click latest traffic alerts. 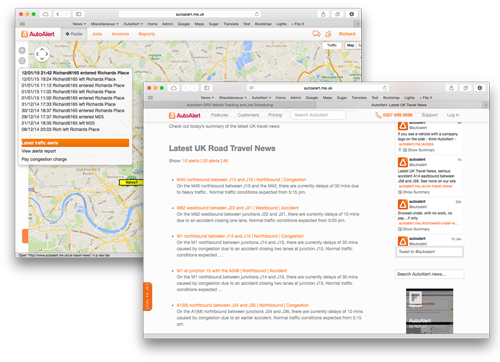 If you don’t have an account with AutoAlert, you can still view our UK traffic alerts page. Winter has well and truly kicked in, bringing new challenges to many companies. On the plus side, many businesses have an influx of work as a result – especially if they deal with heating or plumbing. However, dealing with a large influx of new jobs can be daunting. What’s more, winter travel conditions mean that mobile workers can be delayed by traffic and congestion. 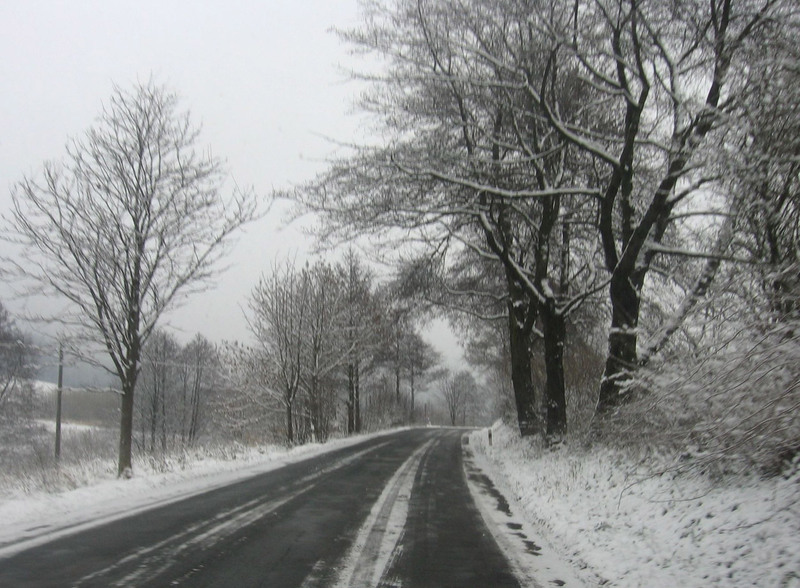 So how can AutoAlert help you deal with increased job demand in winter? Using a central job management system means you can get a complete overview of all open jobs. That means you can divide the workload more easily, which is vital during busy periods. When a new job comes in, you can allocate it to the right worker based on what they are doing, where they are, and what jobs they have lined up. It also eliminates the need for paperwork, keeping your stress levels from rising. AutoAlert’s radar mapping function gives you a bird’s-eye view of the local area, and will show where traffic and congestion is building up. 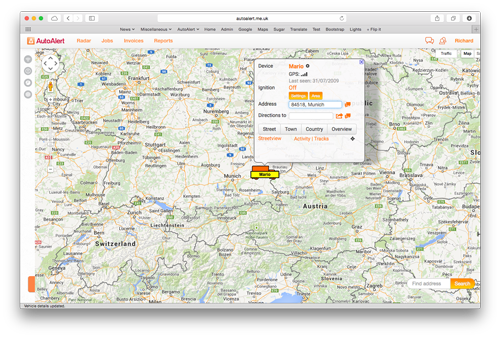 Thanks to real-time GPS tracking from the AutoAlert mobile app, it also shows where your workers are. Knowing where your workers are means you can strategically allocate jobs so that employees don’t get caught in traffic. A sudden influx of work usually means you’ll need to give jobs to employees throughout the day. With AutoAlert, you can enter a job into the system and allocate it to your workers with a click of your mouse. They’ll get an instant alert sent to their AutoAlert mobile app – meaning you don’t have to spend time calling them or writing out job sheets. 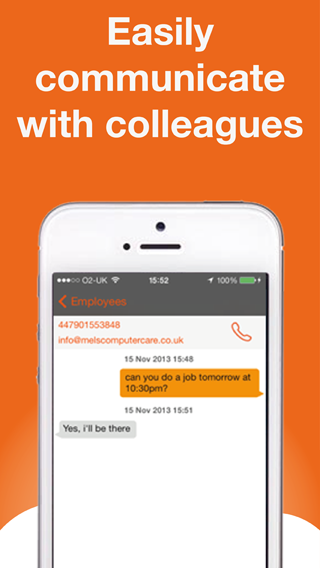 AutoAlert can help you manage your workload by reducing the amount of time you spend on the phone with customers. The system allows you to send SMS messages to customers whenever there is a problem or delay, so you’ll have fewer people ringing for updates. When customers do contact you, you’ll be able to deal with their calls quickly. Every job’s status is updated live by your workers, and you can see each employee’s location through real-time GPS tracking. With a couple of clicks of your mouse, you can see how long each driver is going to be and pass the information on to the customer. During busy periods, trying to check the progress of every single job can be overwhelming. AutoAlert enables you to find out any time there is a problem without actively monitoring every worker. Using the AutoAlert mobile app, workers can update each job’s status any time there is a problem or delay. Your overview screen will be updated to show which jobs are running late, and you can set AutoAlert to give you notifications or SMS alerts in these instances. The upshot is that you don’t have to spend time tracking every job – leaving you free to focus on other problems like unpaid invoices. 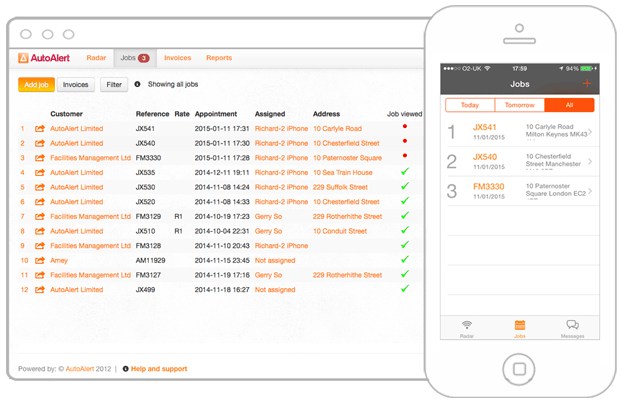 Find out more about AutoAlert Job Management and how it can help you manage your workload. Most people involved with any kind of vehicle fleet are at least somewhat familiar with the benefits of fleet tracking technology. Large fleets of all kinds are nearly always equipped with some sort of tracking equipment, which allows the vehicle owners to conduct operations more efficiently and more effectively. The cost is pretty high, but when that cost is allocated across a large fleet, it becomes economical. But what about small fleets? The high cost of fleet tracking would seem to put it out of reach of most, if not all, small fleet operators. Thanks to new technology and an innovative application of that technology, it is now possible for vehicle tracking to be economical for small fleets, even those as small as one or two vehicles. This new technology is revolutionary in that for the first time, a fleet operator can monitor and track vehicles through a portable GPS tracking unit, a standard mobile phone, iPhone, iPad or the web with minimal installation in the vehicle and no complicated software to download, install and understand. This means that upfront costs and operating costs are much lower and very affordable. In contrast to traditional systems that require a large capital investment and substantial monthly fees, this is a huge advantage for small fleet owners. And if the small fleet operator wants to lower the costs even further then they can use their own SIMs. One of the most attractive aspects of this new technology is that it tracks vehicles proactively rather than reactively. In other words, the system is constantly aware of where each vehicle is located, unlike traditional systems that depend on the vehicle owner to contact the central call centre and initiate a tracking request. It also can send customised alerts and messages to notify the operator if a vehicle is having a mechanical problem, has been stolen, or is otherwise in need of attention. Why, exactly, is this new technology so helpful to small fleet operators? Because it allows the operator to benefit from less driver downtime, more efficient dispatch, and the freedom for fleet managers and engineers to spend their time in the field rather than in the office. And all of these things contribute to the one thing that is most compelling – increased profits due to better fleet management. There is currently one company offering this new technology to individual consumers as well as fleet operators of all types and sizes. It is called AutoAlert and is based in the UK, but has the capability to offer service across many other countries around the world. Regardless of the size of your fleet, the good news for your bottom line is that fleet tracking technology has changed for the better. Now more than ever, it is economical and convenient to track even small fleets efficiently, conveniently, and at a reasonable cost. New GPS app helps motorists around the world avoid costly congestion charge fines. AutoAlert announces a big update to their London Congestion Checker App, which is now available for the iPhone 6. 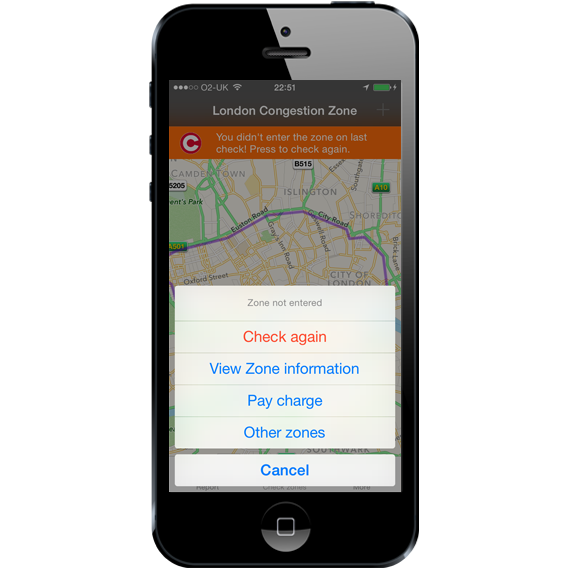 The app lets users know when they have entered the London Congestion Charge zone, and gives them the option to pay the charges through TFL, so that they can avoid fines. The latest version of the app also boasts additional features designed to help drivers. It now lets users see when they entered or exited the congestion zone, and when they paid. The app helps not just individual drivers, but also managers who are in charge of a fleet. It now allows users to add other drivers, so that they can monitor multiple cars simultaneously. While the previous version of the app only monitors a car’s proximity to the London Congestion Charge zone, the updated app can be used for other zones too. For example, users have the option of adding the Low Emission zone in London, or the Ecopass zone in Milan. More information can be found on the AutoAlert website, including a link to the app on the iTunes store.